Krill are tiny shellfish with oil containing Omega-3 fatty acids. 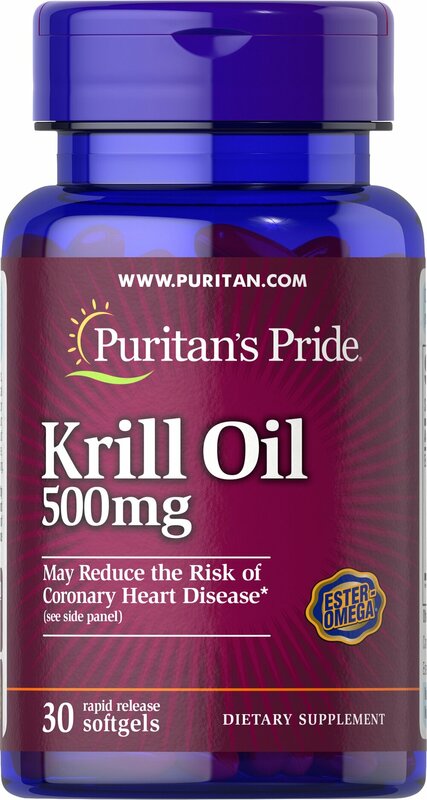 Puritan's Pride Krill Oil 500 mg provides 86 mg of active Ester-Omega® Omega-3 fatty acids per serving which is partially comprised of EPA (Eicosapentaenoic Acid) 40 mg and DHA (Docosahexaenoic Acid) 25 mg.
No Artificial Color, Flavor or Sweetener, No Preservatives, No Sugar, No Starch, No Milk, No Lactose, No Gluten, No Wheat, No Yeast. Sodium Free.